Hi, guys! So, now that we understand the keyboard layout, let’s move on to the names of the piano notes. Hopefully, if you’re reading this, it’s safe to assume you know your alphabet. 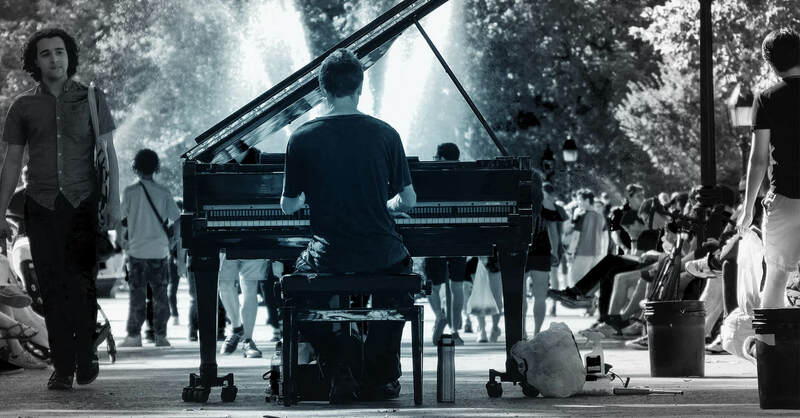 All we need are the first seven letters of the alphabet to name the piano notes. It’s that easy. As we go from one letter to the next in the alphabet, each note is higher than the one before. On the other hand, if we go in the reverse direction (from G to F to E, etc. ), then each note is lower than the one before. The next note after G (moving in alphabetical order) goes back to A, and the pattern starts again. So just remember, there is no letter H on the piano! So, why are we calling C the starting note, you ask? As you can see, the note C is the note all the way on the left of our 12-note pattern. That’s why it’s easier to think of the order of piano notes as going from C to C, instead of A to A. C is our starting note, because it happens to be the first note of every 12-note pattern. But keep in mind, there’s really no such thing as the “starting note” on the piano, or in music in general. Notes go on forever and ever in both directions, up and down, …D, E, F, G, A, B, C, D, E, F, G, A, B, C, D, E, F…, without an end or a beginning. 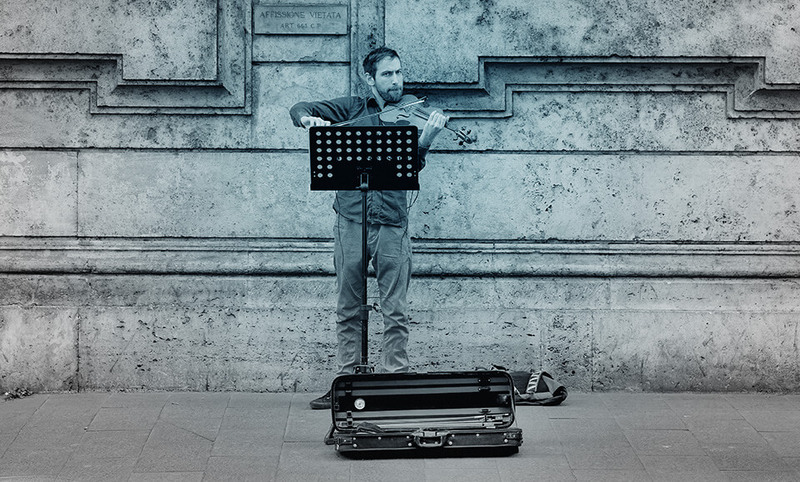 Even so, it’s convenient to think of one note as if it’s the starting point. It just makes the notes easier to learn, easier to memorize and easier to visualize. Then lather, rinse, and repeat, starting the pattern all over again from C! Now that we got the idea, let’s take a look at some diagrams of the note names on the piano keyboard. The piano notes are arranged lowest to highest, from left to right. This means that the lowest note is all the way on the left side of the piano. As you move from left to right, each note is higher than the one before. Obviously, the opposite is true if you move in the other direction. As you move from right to left, each note is lower than the one before. For right now, you don’t need to try to memorize all the piano notes and their names. In the next lesson, we’ll learn an easy way to “see” all the notes on the keyboard. The main thing at this point is to simply understand how the note names work. As we now know, each white key on the piano corresponds with one of the 7 alphabet letter names. However, it’s important to realize that these note names aren’t just for piano notes. In fact, nearly all instruments use the same 7 letter names (besides drums and other non-pitched percussion instruments). Not only that, written music uses these same 7 notes. 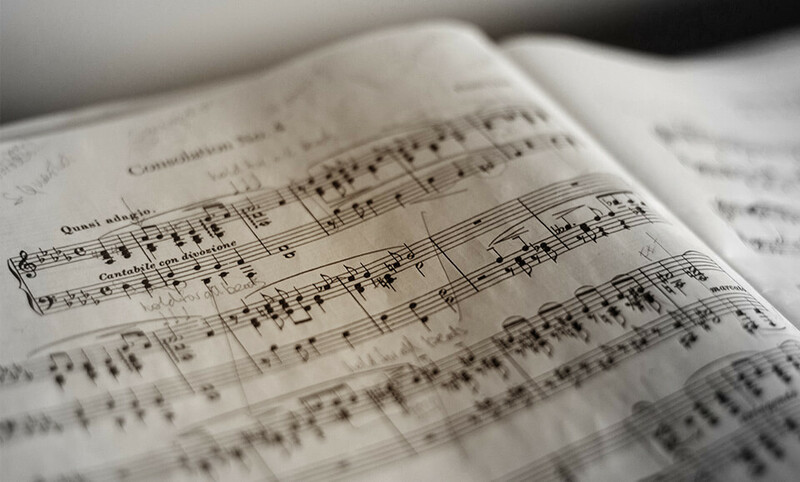 Each of the piano notes is represented by a corresponding note on the piece of paper. Amazingly, almost all the music in the world is made with just these 7 letter names! A, B, C, D, E, F, and G – that’s it. Now, that’s a whole lot better than having to memorize all 80,000+ characters in the Chinese language, isn’t it? 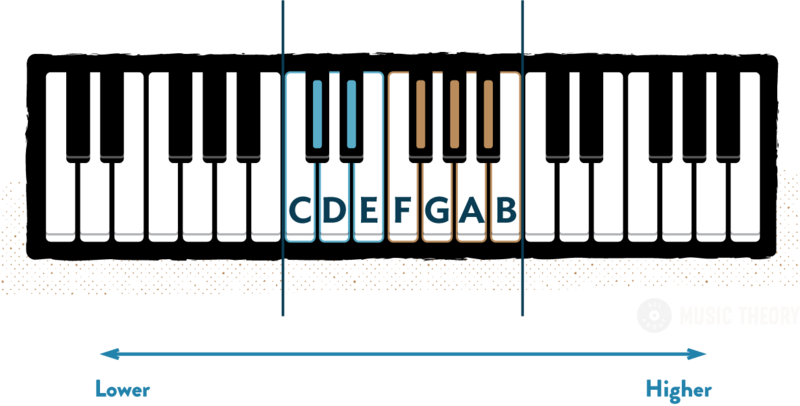 The piano notes are named using the first 7 letters of the alphabet: A, B, C, D, E, F, and G.
This pattern then repeats over and over across the keyboard. We will think of the note C as our starting point, since it’s the first note of each 12-note pattern. As a result, our note name pattern becomes: C, D, E, F, G, A, and B. The farther a note on the piano is to the right, the higher it is. The farther to the left, the lower it is. Besides piano notes, these same note names are also used for all other instruments and in written music. Alrighty, so that’s it for this lesson on the note names. Great job, we’re making some serious progress already! Join me in the next lesson, where we’re going to learn how to instantly identify any white note on the piano with its correct note name.